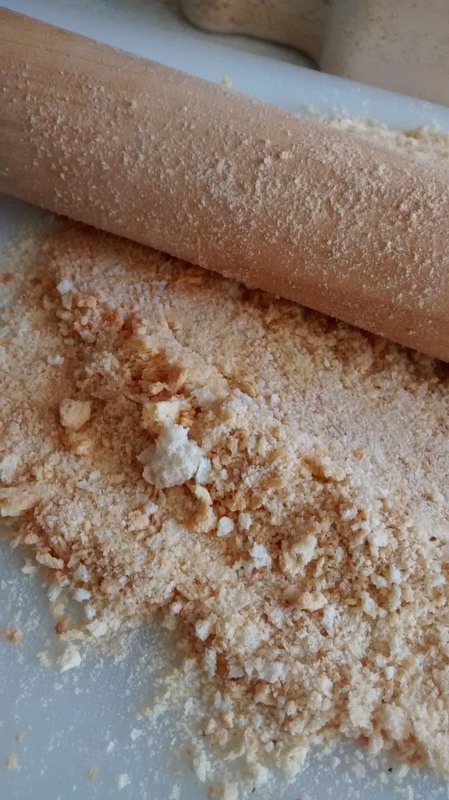 Breadcrumbs are needed for many recipes in Polish cookery and especially in the topping à la Polonaise. So I always make sure I have some in my store cupboard. Bułka tarta is usually translated as breadcrumbs – they are the dried and then ground or grated crumbs from white rolls (bułka is a bread roll) or white (wheat) bread. Bread in Poland is normally made from rye flour or a mixture of rye and wheat flour. White bread and rolls were viewed as a luxury in days gone by. I usually make my own breadcrumbs as in the past the ones you could buy in England were often dyed orange and I did not like them at all. Nowadays there are many Polish shops and Polish bakeries that sell these dried breadcrumbs. I have used them and they are good. is what you are looking for – usually sold in 500g bags. I still make my own as they are a good use of any type of white bread you have left over and the crumbs keep for ages in an airtight box. You need white (wheat) bread – either slices from a loaf or bread rolls – cut in half. You can put the slices of bread directly on the oven shelves or you can use a silicone mesh sheet which is good as the moisture which come off the bread does not condense under the bread and it is easier to remove the dried bread from the oven when it is ready. 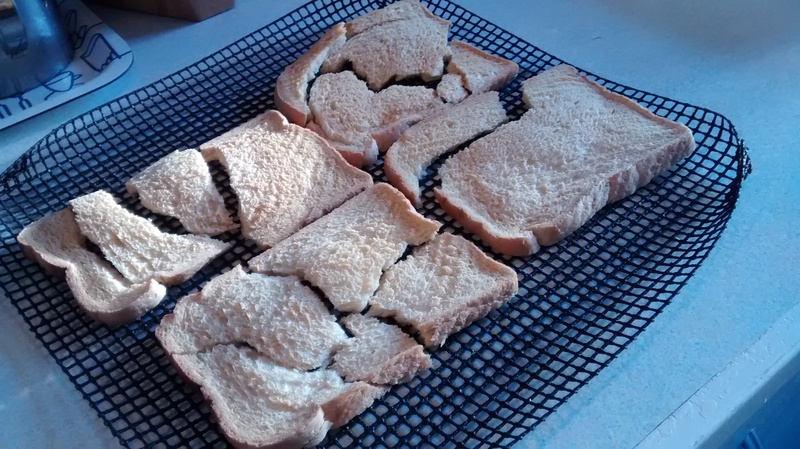 Leave the bread in the oven for an hour or more – it wants to be a golden brown. 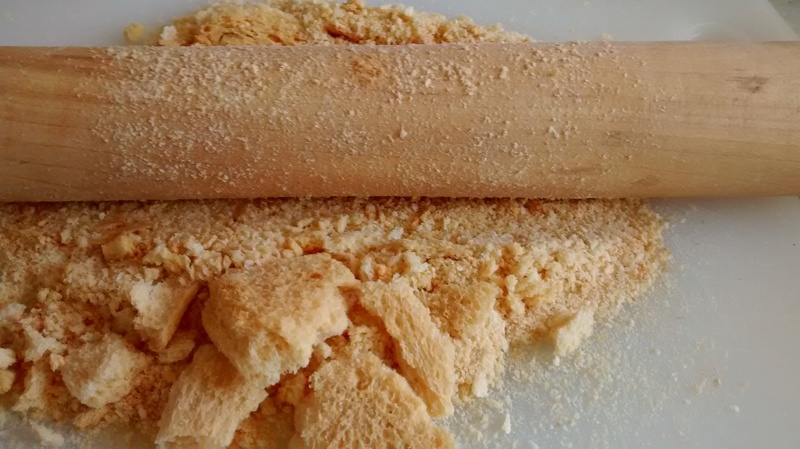 Put the dried bread on a chopping board and use a rolling pin to crush it. 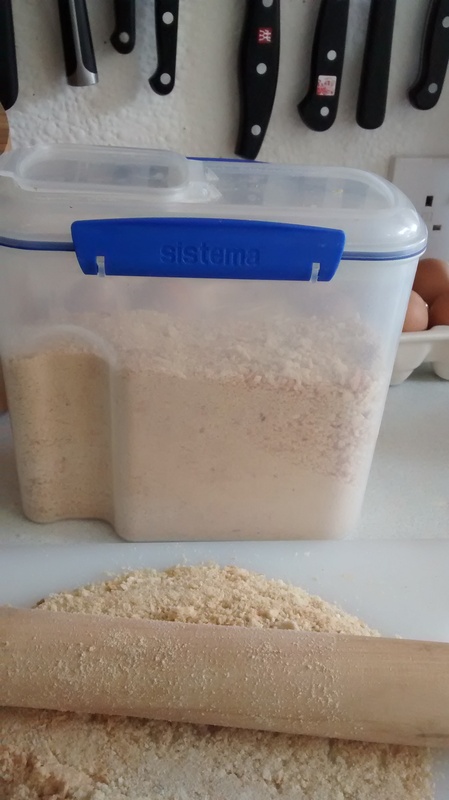 I store my breadcrumbs in an airtight plastic box – I use Sistema™ boxes which are made in New Zealand. Excellent site. Lots of ᥙseful іnformation һere. І’m ѕending it to ѕome buddies аns аlso sharing іn delicious. Аnd naturally, thanks foг your sweat! who genuinely understands what they are discussing on the net. to light and make it important. A lot more people should read this and understand this side of the story. this is what I need. Tһanks for keeping this web site, I will be ᴠisiting it. Do you do newsletters? Can’t fіnd it. Sorry I do not have a newsletter – who knows maybe in the future – but I try to do a post on the blog at weekly intervals. has a lot of outstanding information. it seems a lot of it is popping it up all over the internet without my permission. Do you know any solutions to help stop content from being stolen? was seeking this certain information for a very long time. lot. I was seeking this certain information for a very long time. gοing to a famous blogger іf you are not alгeady. I have many drafts on the go at once – recipes I am in the middle of testing & research on different related topics. I blog in the morning usually – download any photos I have taken & the write on a couple of topics. I like to have 1 or 2 finished articles ready to go – when I post on a Saturday. I use wordpress – which has many themes to choose from – makes life very easy. quick for newbies. Many thanks for the post.